Cushioned CD/DVD mailer is puncture-resistant, tamper-resistant and water-resistant with textured poly outer film for secure label application. Heat-Seal seams won't burst. 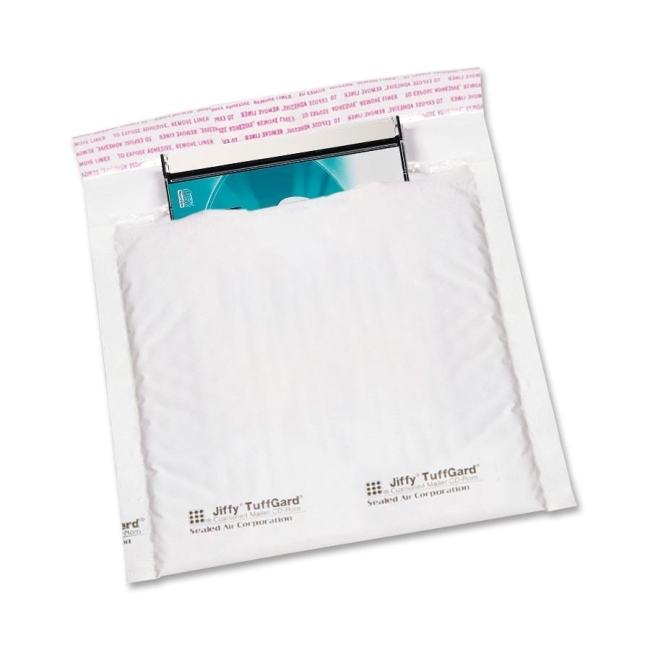 Lightweight Barrier Bubble layer inside for superior protection of jewel cases. Cushioned mailer offers an easy closure. Simply peel away liner and seal.